18th July 25th August 2013: Stop the press! Wrong Pong at Aspex Gallery in Portsmouth! Wrong Pong has recieved a commission from Aspex Gallery in Portsmouth. 24th August 2013: Stop the press! Wrong Pong at Quad in Derby! 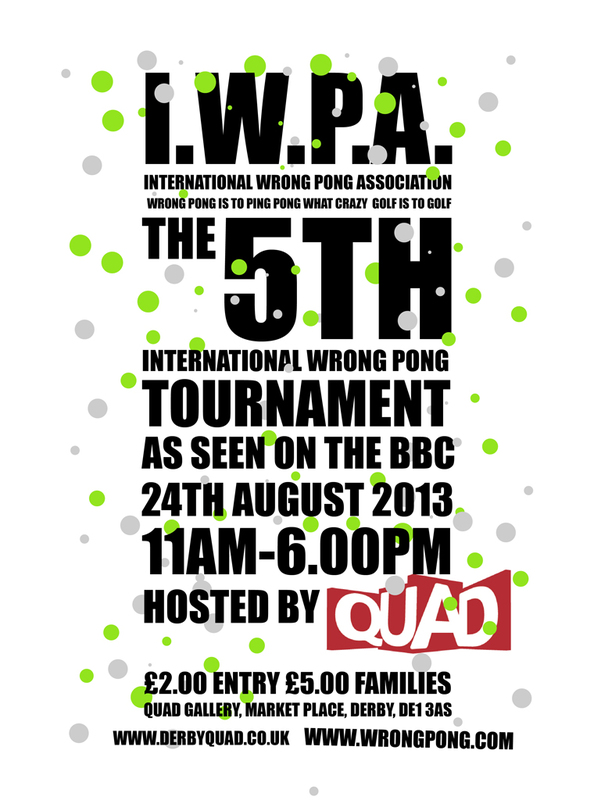 The 5th International Wrong Pong Tournament hosted by Quad in Derby begins on the 24th of August, 11AM to 6PM. 8th 9th June 2013: Stop the press! 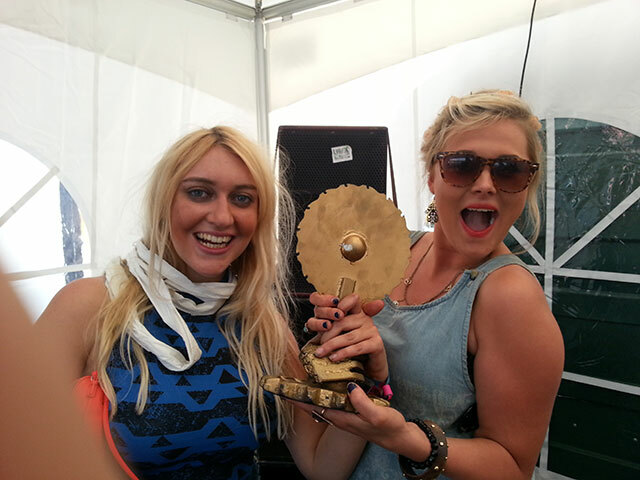 Wrong Pong at Manchester Parklife Festival! 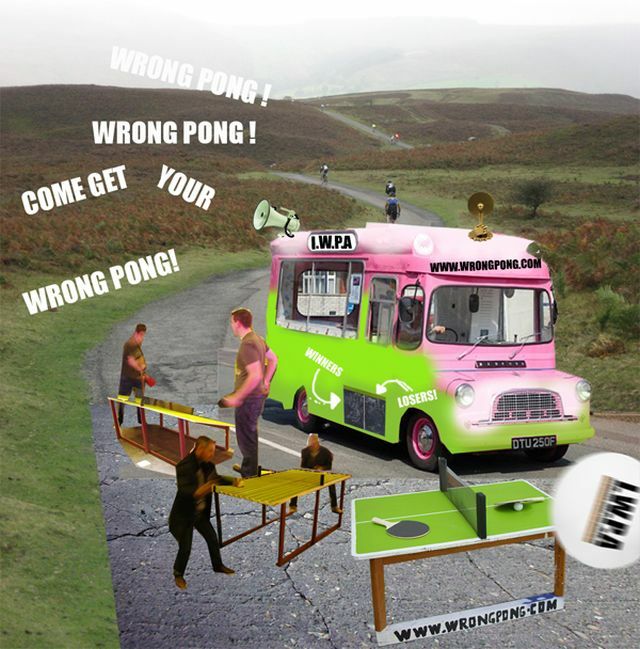 This Weekend Wrong Pong is holding a tournament as part of Parklife Festival in Manchester. Its going to be hectic but lets play on. Teaming up with Mad ferret the festival organisers as well as revolve sound sytem and prefix studios to bring wrong pong to a whole new audience. Watch out for regular updates on the blog during the weekend. Wrong Pongs world tour of Lincoln. Wrong pong! on tour! we have just got the great news that we will be driving round lincoln in a 50's Bedford ice cream van running gorrilla wrong pong events for all ages as part of transported. 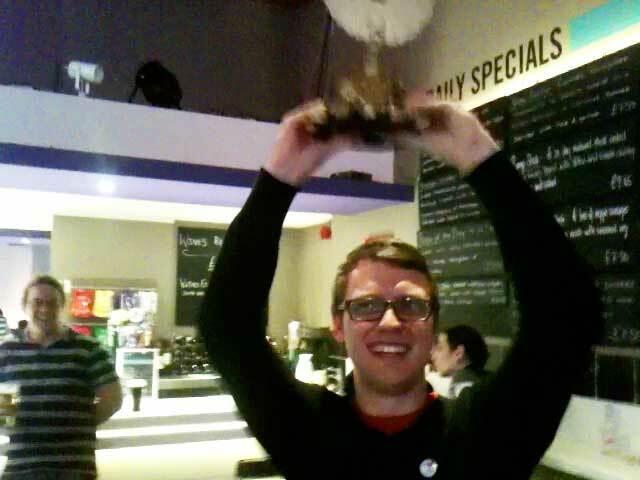 On Thursday 1st December 2011 we were at Broadway Cinema Nottingham as part of Show and Tell, and our new International Wrong Pong Champion is Mr Marc Biskup of Germany. Congratulations! Wrong pong 5th world championship: Stop the press! 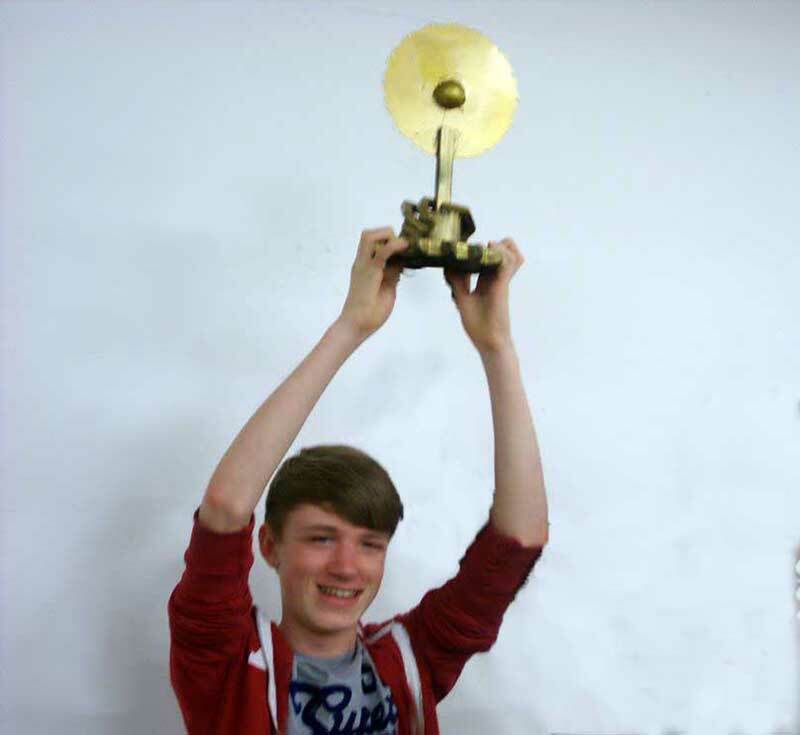 Ok, so after the fantastic report on the BBC by Mr Mike Bushell, we had too, simply had to run a bigger tournament, and Quad arts centre offered us the use of there main gallery space for a day, on the 24th of August 2013. Wrong Pong covered by the BBC: Stop the press! Wrong Pong in the news! Wrong Pong made the news and was covered by The BBC on TV. 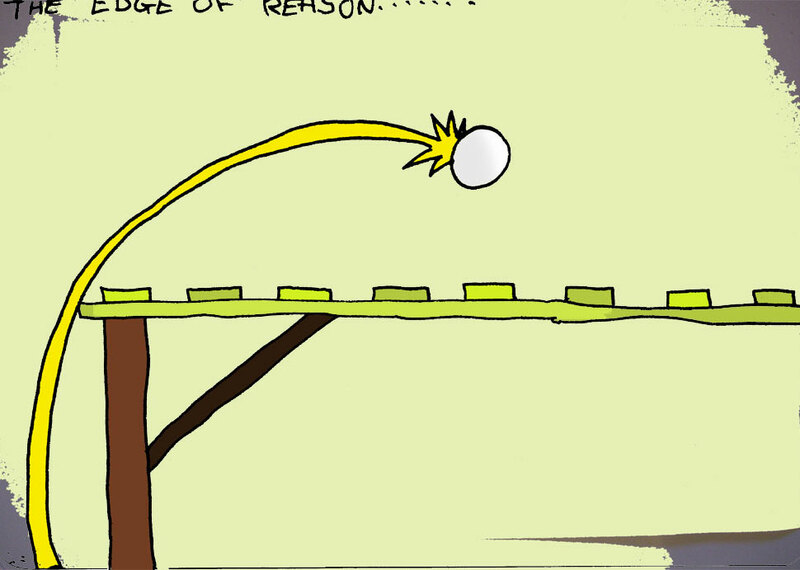 Wrong Pong is to ping pong what crazy golf is to golf. It uses angled tables, tables with obstacles, and tables with textured surfaces. Matches are fast and fun. 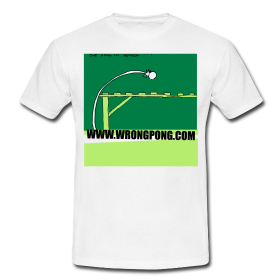 Wrong Pong T-Shirts now Available! 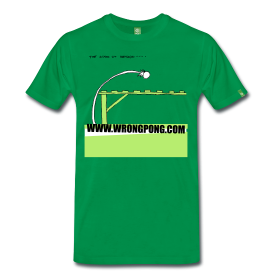 Wrong Pong T-Shirts now available in green and white Get your T-Shirts now! Wrong Pong table development section.